Where did Mr. Doyle go? Why are there so many Nazis in British + Irish comedy? Why the HELL are these guys priests? Hey, no one may ever be able to answer these questions, but Stephanie and Kaley are sure gonna try. Grab your cigarettes, your alcohol, and your rollerblades (OR a nice cup of tea!) 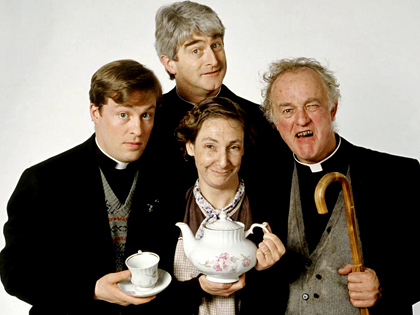 and join them for a celebration of all things Father Ted. Listen now!